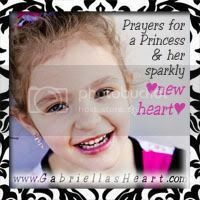 I have updated the web badge to support Gabriella's Heart website. If you have a blog or webpage, and would like to add or update your Gabriella icon, please grab the new link below! I LOVE IT!! I'll post it now.